In the Attention Economy, the ability to grab eyeballs with your marketing content will determine whether your company succeeds or fails. If people don't notice you, they'll never purchase you. To be blunt, content that fails to get noticed is worthless. Never before has there been more competition for attention. The sheer number and variety of distractions the real and online world churns out is mind-numbingly staggering. Welcome to the age of "content shock" where content is being created and distributed at a rate that far exceeds the ability to consume it. It's also created the biggest opportunity to leapfrog over your rivals and steal market share. A recent study by the research firm Lumen found that 96% of online ads received do not receive more than two seconds of attention. Here's how to make sure all your advertising - on and offline - is among the 4% that does. 1. Be More Interesting, Informative Or Entertaining Than The MediumIn Which Your Ad Appears. Today, you can't buy people's attention you have to earn it. To be noticed and remembered each and every brand experience you create must be as good or better than anything on the platform where it runs. Impossible to ignore and hard to forget should be the standards every single one of your ads lives or dies by. Remember, people don't ignore ads; they ignore bad ads. Wherever we we ran the ad to the right – online, outdoor and print – it pulled more than its fair share of attention for the Museum of Life & Science. See the rest of the campaign here. 2. Place Your Ads In Media Proven To Attract More Attention. A recent study by Ebiquity found a stark difference between what advertisers and agencies consider the most effective media and what research proves is most effective. Read the full report here. 3. Run Your Ads In Unexpected Places. 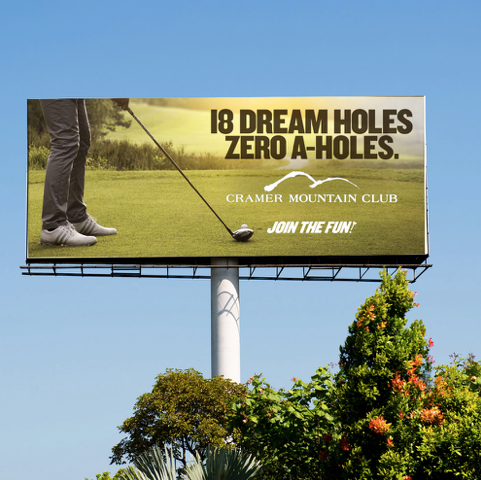 Consider non-traditional media placements to increase impact. Stairwell and escalator risers, elevator doors, bathroom stalls, vehicle wraps, sidewalks and building facades are just a few on a growing list of nontraditional media available that can attract the attention you need. The key is great creative and a high-visibility location where lots of people in your market will see it. While everyone else bought banners at NCTE education tradeshow, we ran the ads above on a stairwell to get loads of attention for EMC School. It's a fact humans are hard-wired to seek out the novel, surprising and unexpected. If your ads are familiar, predictable and expected they will be ignored. In a market saturated with stuffy golf clubs, Cramer's unpretentious message was a hit. See the rest of the campaign here. 5. But Be Extremely Relevant. Just being different isn't enough. Make sure you have valid insights from qualitative and quantitative research that ID your customers' true wants and needs. Then execute your message in a completely unexpected way. Research shows that kids want to learn the coding languages of Python and Java - fast. We took that insight and made it impossible to ignore and hard to forget for Coditum. Almost everyone is scared to take a stand these days. Those that do risk criticism. But those that don't risk irrelevance and invisibility. Most student housing ads promote the party side of college life. Not Sebastian Villages. By taking a stand they went from 85% to 100% occupancy with a waiting list in less than six months. See other work we've created for Burkely Student Communities here and here. Make people feel something when they see your ads. Research shows humor is a great way to simultaneously grab attention and be more memorable. Who says an industrial flashlight with a magnet can't be funny? Our client was laughing all the way to the bank. 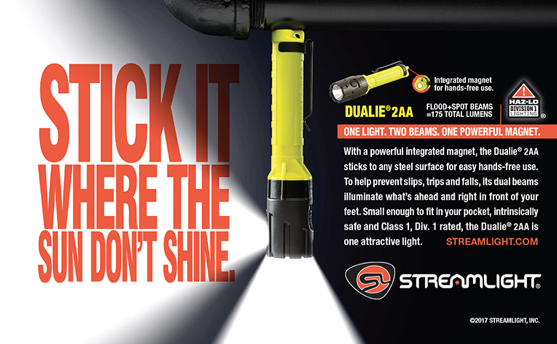 To see more work we created for Streamlight go here. 8. Make Headlines.In addition to grabbing the attention of your audience, try to grab the attention of the press. One good article, blog or a segment on a news channel can expand your awareness geometrically. Give on and offline editors, journalists, producers and influencers a heads up about your campaign before you launch it. This online video I created for Triumph boats caught the attention of Inside Edition and the entire boating industry. In the war against invisibility, Immortology would be happy to be your secret weapon. DesignRush an international site that connects the world’s best brands with the world’s best agencies recognized Immortolorgy as a Top Agency. Check it out out at https://www.designrush.com/agency/ad-agencies. To see more of our work click here. For a free consultation, please contact me directly.